Moving with children can be very tiring. Find out how our customers have dealt with it. It can be easy. Moving house is tough but moving with children can be even tougher. How to play the relocation with a child? Should you ask your family to look after it during the move? Have you moved to Australia with children? Why do not you share your experience with us and our visitors. Write a short article about your experience. Do you have any advice on how to move with children, how to make them happy? should they be sent to family for the time of relocation? Are you moving a house soon? Unfortunately once again to another rented property and this makes you wonder how other parents are organizing, or should organize such a move with a child? Does your child should participate in the relocation from the very beginning to the end, or for the time of packing, moving and unpacking, it should be left with its grandparents / aunt, etc, so it does not cause any trouble? Children are always excited about moving and having a new room so do not be surprised if yours, as soon as they find out about moving, announce they want to be with all of it, decide how to set up furniture, where and which things to put on shelves. It is understandable and you should let your children help you out a little bit. However you must know not everything that your children are going to like you will like too. For example children do not know how to do things properly. They think they are doing you a favour but in most cases you will have to repack and double check things which may take you more time than doing it by yourself from the beginning. As you know shipping goods to Australia is very regulated and exporting some items is simply restricted or even prohibited. You must be careful what things your boy or girl is throwing into the box. Also when moving house overseas to Australia each box should have an inventory list attached to it so you have to check the content of each box anyway. When unpacking your children will unpack everything as they like. If you are a pedantic person the little things on the lower shelves and the bigger ones on top may irritate you. Children are always noisy, ask a lot of questions and make a lot of mess which you do not need. All of this may distract you, make angry and you will not be able to concentrate on the important things. 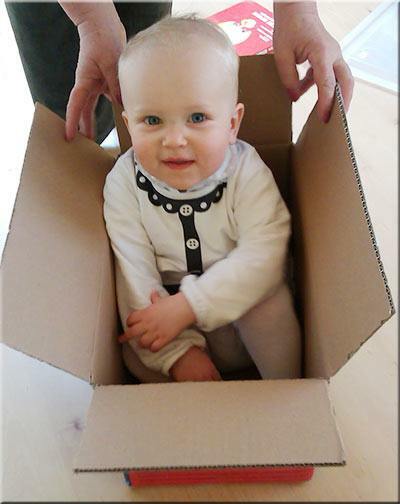 Below you can see a few emails from our customers that have shared with us their experience with moving with children. Have a quick look to find out how they have played their relocation with children to Australia. There is always a problem when traveling with children by plane. Find out how to keep kids calm and busy on the plane? "I have just completed shipping to Melbourne and I have to say that even with our 11 years child the move was a nightmare. Our boy was very excited, and that's understandable, but he was also obnoxious, annoying and generally did not listen to me at all. He was disturbing us in packing as much as he could (I know it was not intentional). He was more tiring than the planning, preparation and packing itself. So after the shipping to Australia and the delivery of our stuff to the new apartment, we left our little boy with his grandparents and were unpacking for 11 hours. I did not do a lot in my son's room, just unpacked his clothes. I left his toys, board games, cars and books for him. And guess what? He got bored with unpacking after 10 minutes and I had to finish it off. I wish we had left him with his other grandparents when we were packing - a child, a dog and a cat for the period of packing, transport and unpacking should be left with family. However you should remember to leave the packing and unpacking of the most important things for your children for them." "Hello, recently I had a similar dilemma. My five-year-old daughter wanted to participate actively in moving our home. From the experience I knew that when it comes to the house redecoration as well as to the relocation you can't count on the help of your children. Always it turns out to be too big mess even to hire a nanny. It is much better to hurry up with the removals while the children are being left with the family. However we have discussed the look of my daughter's room with her. We have watched together collections of interior designs before deciding how to decorate the child's room. The little girl has decided that it should be all purple, but after minor suggestions she agreed on some white too"
What to do with kids during the move?